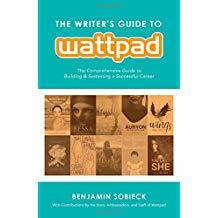 At the Greater Lehigh Writers Conference last year, I listened to Benjamin Sobieck introduce and explain Wattpad, a social storytelling platform for readers and writers. Writers post their stories, often a chapter at a time, and readers from all over the world read them, offer comments, and vote on them. Wattpad began in 2006 and in 2007, it became available through mobile devices. Today Wattpad has millions of readers and hundreds of millions of stories. After the class, I took Ben’s business card and emailed him a few times with questions, but I didn’t feel ready to try it until six months later when I read his book The Writer’s Guide to Wattpad: The Comprehensive Guide to Building and Sustaining a Successful Career. This time I wanted to put my current book project on Wattpad and I emailed Ben about enrolling as a writer. He graciously answered my questions and I was now ready to take the plunge. Wattpad is a whole new writing world that has the potential to reach people all around the world. Many writers have begun successful careers and readers enjoy a vast selection of stories and the opportunity to offer feedback and become actively involved in story development. I noted Ben’s enthusiasm and willingness to help from our first meeting. He is a crime and thriller writer and a member of Wattpad Stars. His website is crimefiction.com. Ben agreed to do an interview for my website. 1.) Q. Ben, please tell me about yourself and your writing career. First off, thank you for hosting this interview. The short version is that I went to school for journalism and creative writing, got a job as a reporter, moved over to magazines and wound up working for a large publisher of print, digital and broadcast content. That continues to pay the bills, but if you’re a writer, you know you won’t stop there. I kept writing on the side, and eventually picked up some fiction and non-fiction projects. 2.) Q. How did you first come across Wattpad? It seems like a perfect match for you and the stories you write. Thank you! I’d hit a dead end outside of Wattpad with some stories that I thought had legs. I posted them to Wattpad to see what would happen, and the rest is history. It wasn’t overnight, and there were times I felt like quitting. But I knew I had something good to share, and it worked out in the end. As far as matching content to Wattpad, I write, in general, thrillers. Horror, YA and romance all do well on the platform, too, but that shouldn’t put off anyone not writing in those genres. Wattpad is an enormous place, with 70 million monthly users. If you can find even a tiny, tiny percentage to give your work a read, you’re on the right track. 3.) Q. Wattpad is geared toward millennials and Generation Z. Do you think there is room for older writers/readers? Of course! The demos certainly skew to those generations, but you’d be surprised at how open minded and advanced those readers are. Remember, these are voracious readers. They want compelling stories. I never intended to write for the 18-25 demo, but that makes up a big chunk of my followers. For adult readers, there’s plenty of content, too. It takes a little more digging, but you’ll find what you’re looking for. And, hey, even if you don’t, you didn’t spend a bunch of money to find out! 4.) Q. I am a writer that is older than the targeted audience. I am presently posting a chapter a week of my new novel on Wattpad. The main characters are in their forties. Would you say this novel would be a tough sell on Wattpad? I wouldn’t mistake a slow burn for a tough sell. All Wattpad stories are a slow burn, because it takes time to build up momentum. Writers who frequent Wattpad will see a pay off in reads, votes and comments. It’s just a matter of sticking with it. As an example, Zandra, the lead character in my “Confessions of a Fake Psychic Detective” series, is in her 40s. She deals with adult issues, and there is zero romance. On the surface, that doesn’t look like a Wattpad story. However, it won a Watty Award in 2016. 5.) Q. It is mentioned quite a few times in your book that there are currently 65 million users and 400 million stories. These statistics suggest it would be exceedingly difficult for a writer to stand out. Yet the writers in your book are very encouraging about joining Wattpad. Why do you think they believe new writers have the potential to do well if they stick with it? It’s up to 70 million now! That sounds intimidating, yes, but remember that of those millions of stories, most of them are one-offs, just for fun or not written by someone interested in a full-fledged writing career. The dedicated writers there to build an audience, and therefore a career, are smaller in number. I don’t know what that number is, exactly, but the readers will always want new material. They enjoy following writers putting out good work. If you’re doing that, the readers will come. It just takes time. 6.) Q. Have any plagiarism concerns come up? After all, many writers are sharing their works in progress. Yes, unfortunately. There are websites off of Wattpad that post work, and there are “writers” who imitate or copy Wattpad successes. Issue a DMCA notice or alert Wattpad directly. Piracy is always a risk. Hopefully, the benefits of Wattpad outweigh the risk of plagiarism. 7.) Q. Most of the chapters are written by women. Is that because there are more women writers and readers than men? Do you see a closing of this gap anytime soon? Wattpad users are female, and I think that reflects readerships at large and Wattpad’s makeup behind the scenes. Most workers at Wattpad HQ are women. That trickles through to the user experience, too. So, no, I’m not sure that will change, but what they’re doing is working. 8.) Q. Many writers mention Watty Awards, the Wattpad Top 100 Hot List, and Wattpad Star. How do writers achieve these benchmarks? The Watty Awards are an annual competition that anyone can enter. It’s as simple as tagging a story. The Hot Lists are based on reads and votes, but not entirely on reads and votes. The more active you are on Wattpad, the more likely it is you’ll wind up with a ranked title. Wattpad runs a lot of algorithms, and I doubt they’d ever disclose the specifics. The Wattpad Stars program is by invitation. It used to be that you could apply for it, but that’s since changed. 9.) Q. Would you mind explaining the role of Wattpad Ambassador? To put it simply, the Ambassadors are there to ensure users have the best experience possible. That can take on a number of forms, from addressing trolls to getting the word out about contest, and they all do great work. 10.) Q. Some writers have even captured the attention of television executives, movie studios, and publishers! Do you have any statistics on how often this occurs? They do! The exact figures are kept close to the chest at Wattpad Studios, the division that licenses content in that way. 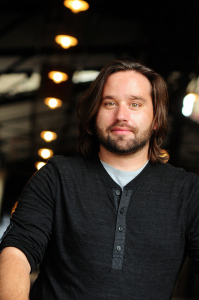 Should an opportunity come up, though, Wattpad contacts the writer directly to gauge interest. Writers own all the rights to their work. The only time Wattpad would sell those rights to a third party is after having a conversation with the writer and signing a contract. No surprises. 11.) Q. Author Daryl Jamison wrote the chapter, “Writing for Wattpad campaigns.” She mentions ways writers can make money on Wattpad. Would you mind touching on this briefly? Wattpad Next, Wattpad Futures, Wattpad Books and the branded campaigns are all ways for writers to make money directly through Wattpad. These are invite-only programs at the moment. 12.) Q. Do you have advice for writers on how to become successful on Wattpad? Keep posting! Keep writing! Build your audience! That’s the best way to do it. 13.) Q. What about story length? Are most short stories, novellas, or full-length novels? You’ll find work in a variety of lengths, but complete novels seem to do the best. 14.) Q. Ben, thank you for agreeing to this interview. Is there anything else you would like to mention? Give Wattpad a try! I did and it turned out to be one of the best decisions I’ve ever made for my writing career. If you can build an audience that cares about your work, you can port that into any other avenue in publishing. You can’t buy devoted readers, but you can build them. All you need is a tool. Wattpad gives you an entry ramp for readers to find you. For me, it’s home base.